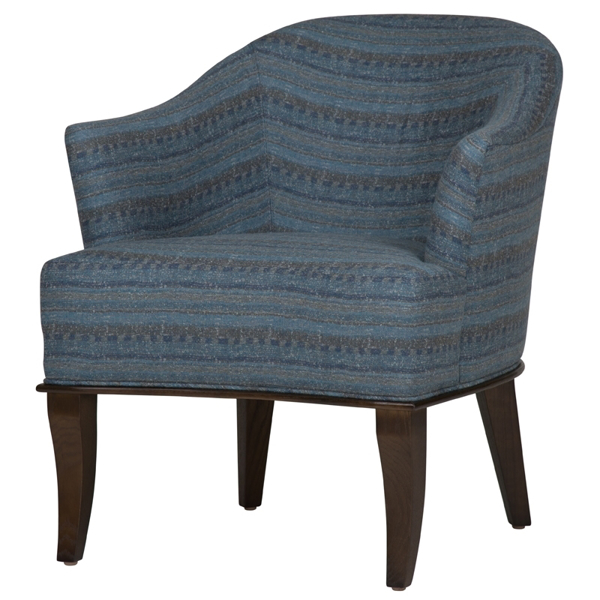 This transitional armchair is a sweet and petite additional to any seating area. Upholstered in a beautifully textured Dewberry Midnight fabric and a base finished in Pecan, this piece has an understated rounded silhouette with sloping, slightly winged arms and curved tapered legs. Dimensions: W 28" x D 30" x H 31"